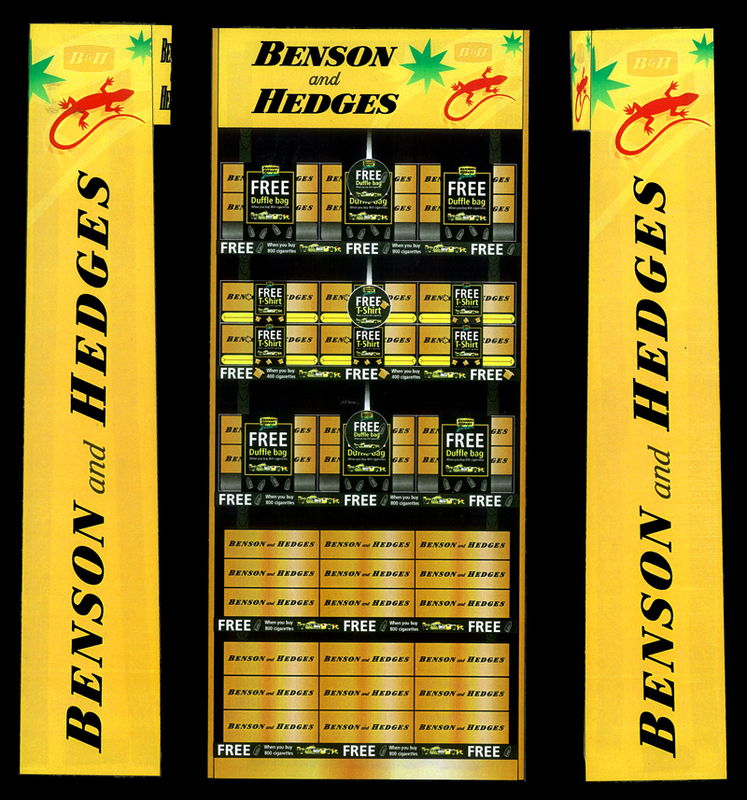 Benson & Hedges is a British brand of cigarettes owned by the Gallaher Group, a large tobacco company, which became a subsidiary of Japan Tobacco in 2007. 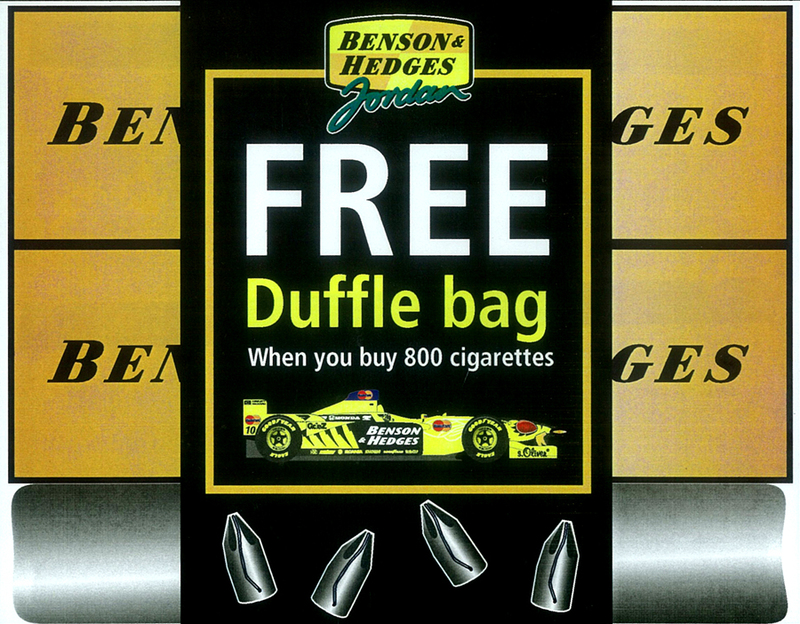 From 1996 to 2005, Benson & Hedges was the primary sponsor of the Jordan Grand Prix team. 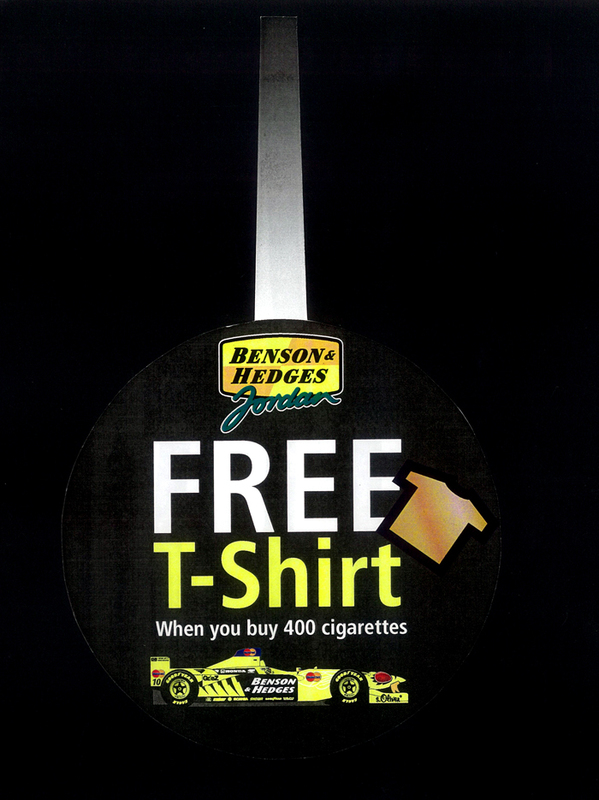 The Benson & Hedges brand strategy involved sponsoring a Formula 1 car and producing a range of promotional items to express the power of its brand. 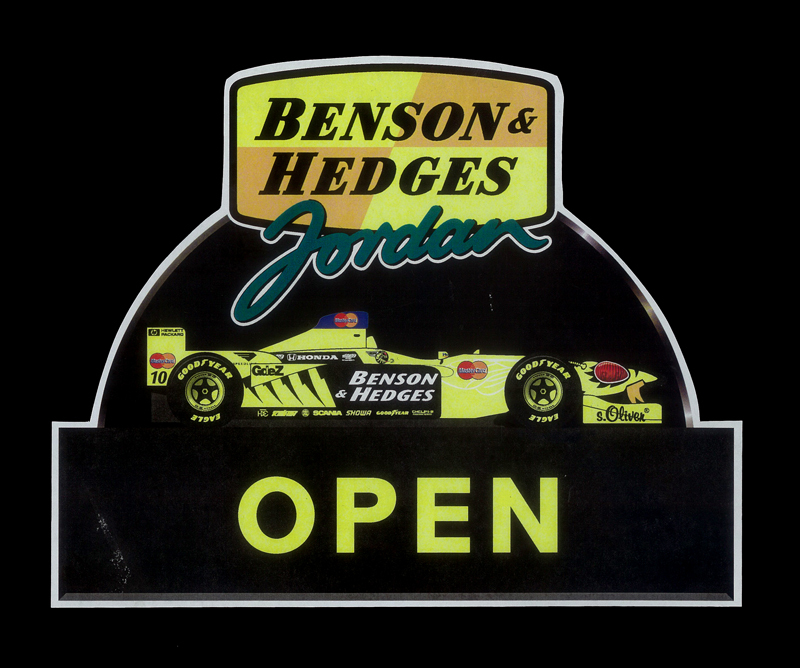 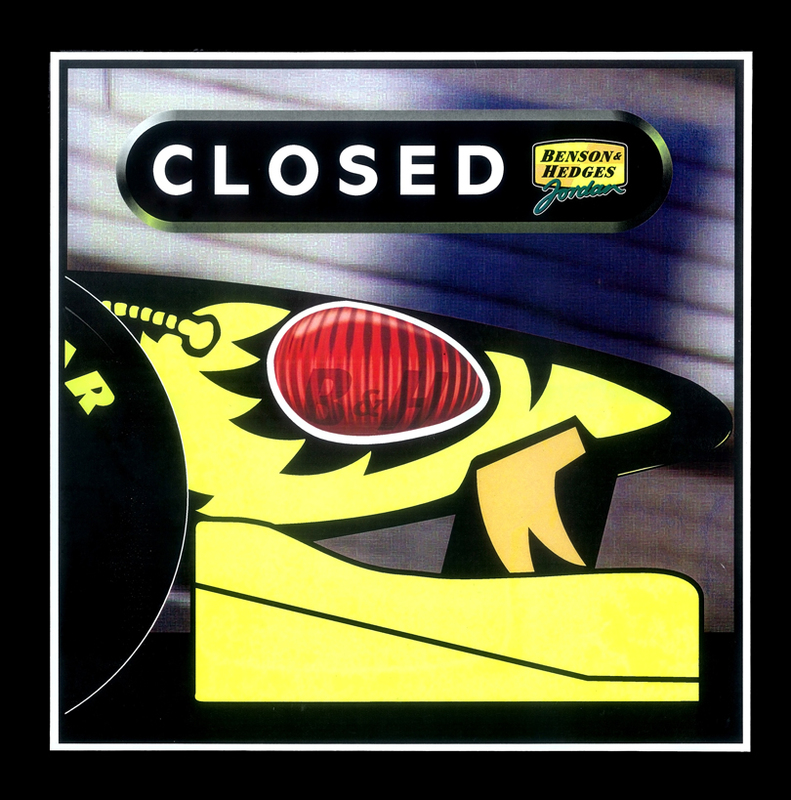 The example shown is a simple door sign with a difference. 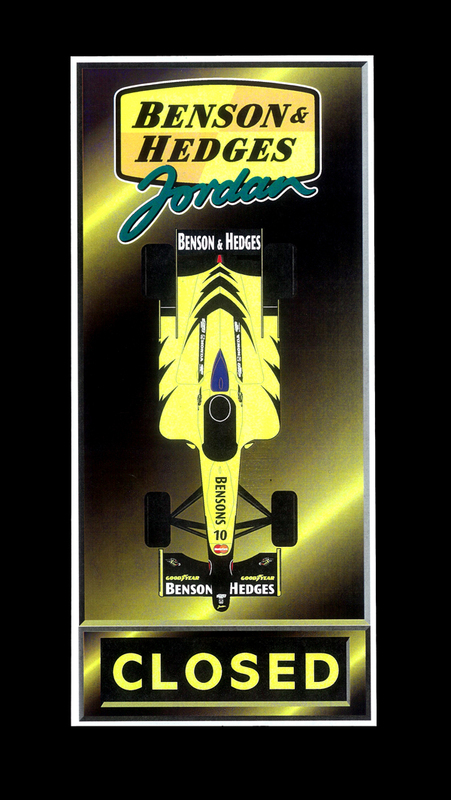 The task was to design a story board of images, promoting the branded car and its developed icon. 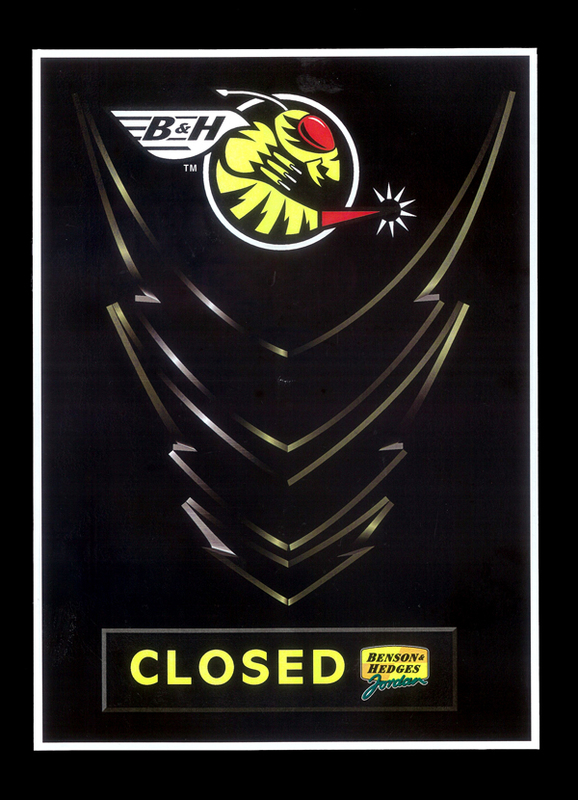 The final version was produced as an animation, allowing the viewer to see the full sequence in 15 seconds.